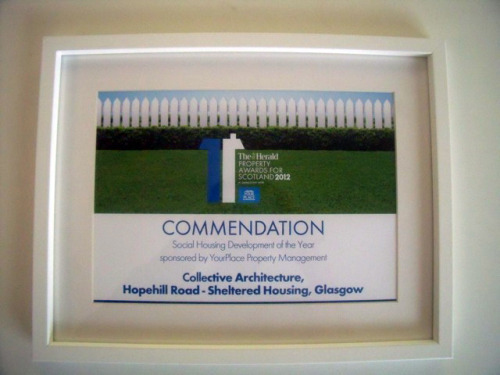 We’re delighted that Hopehill Road Sheltered housing was awarded a commendation at the Herald Property Awards last week. The project was in the Social Housing Development of the Year category, amongst some very tough competition, and follows on from last year’s success of our Blochairn Housing Development which won two awards. 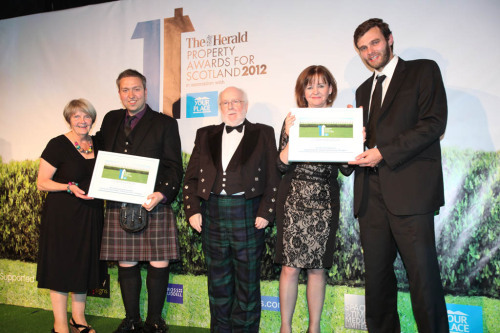 Project architect Rupert Daly was there to pick up the award alongside Irene from Queen’s Cross Housing Association who manages the facility.